Free to download. For ordering hard copies ($25.00 per guide) please visit our Ordering Page. into classrooms and schools in BC. 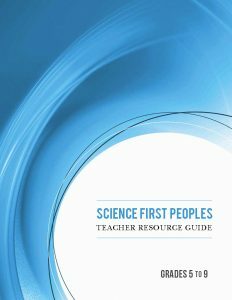 It is recognized that the wealth of First Peoples’ science knowledge is held by communities. or in collaboration with, local communities. It is intended to be a starting place for educators. Each unit contains a brief intro, essential questions, enduring understandings, curriculum connections, cross-curricular links, suggested activities, resources, assessment activities, and suggested additional resources.